The online bargain-hunting on Black Friday caused problems for several e-commerce websites, but none was affected worse than Sears.com. The website buckled under the pressure of the increased visitor numbers and was unavailable for large parts of the day. 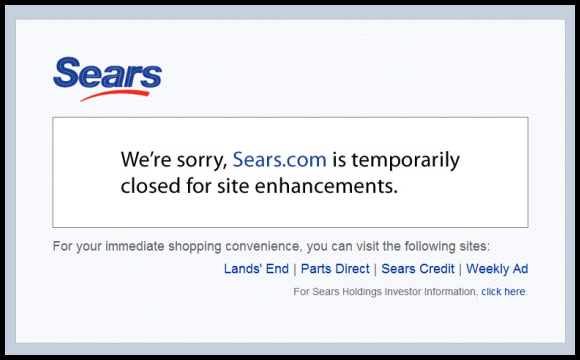 Several other retailers had problems with their websites as well, though not to the same extent as Sears did. StorefrontBacktalk, a news website focused on retail and e-commerce, followed the development during Black Friday with the help of several monitoring services (including Pingdom) and has posted information about several Black Friday incidents. Any bets on who will buckle this year?